Quality Service. Best Value. Guaranteed. Our experience in caring for thousands of families has proven to us undeniably that ...whether you choose burial or cremation…whether your budget is large or small ...whether you invite friends to join you or you choose to journey just with family ...Every family goes through the same steps when they lose a loved one. All too often, families find themselves wanting to take the easy path through this difficult time. What you don’t know is that the easy path, where you discount the value of ceremony, is not the best path. 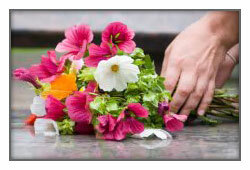 We know – and you need to realize – a ceremony is a vital part of your healing process. Coming together in a formal funeral or a more relaxed memorial service gives friends and family the opportunity to share memories, express emotions, and find comforting support. Whether you choose burial or cremation, the need for acknowledgement of the loss with family and friends is ever present. Together we can create a unique meaningful ceremony to give everyone this vital opportunity. We offer families a beautiful setting in which to gather together. By taking advantage of our audiovisual equipment, graphic design services, reception facilities and catering services, you can create an event that will be long remembered. It will be a service which will make a significant difference in the lives of all who attend. 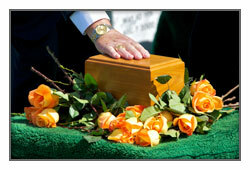 When your loved one has chosen to be buried, the ceremonies you design usually revolve around the casket being present. Traditions can be followed, where there’s a viewing, and then a funeral service in a church or our funeral home's Heritage Hall. Or you could choose to have a more relaxed memorial service. A private service at the graveside could then follow these more public events. 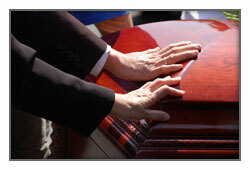 Cremation refers solely to the manner in which you or your loved one has chosen to deal with the physical remains. It certainly doesn’t limit the ways you can honor your loved one's life. We heartily suggest that you have a ceremony, because your need for such a healing experience is not lessened by the cremation decision. Let us assure you: there is no strict formula for honoring your loved one when cremation has been selected. We’re here to listen to your concerns, share in your past experiences, and draw upon our expertise, all to help you arrive at the perfect way to gather together, so friends and family can share their love and support for you, while you honor the life and preserve the legacy of your loved one. At Schaudt’s, we encourage families to create very personalized services. It is important to acknowledge that life that has been lived and to offer to the community a way in which to celebrate that life. By offering signature services and memorialization features that are personal and special, a unique life can be remembered and honored in an individualized way that is comforting to the family and friends. All necessary arrangements for transportation, funeral service, and burial if the deceased is to be sent to a distant location. For more information about our Professional Services, please call us at (918) 291-1700. We're here to help.